Rare Corner, Impeccably Upgraded 3 Bedroom (2 Master Bedrooms) /2.5 Bathroom Town Home. 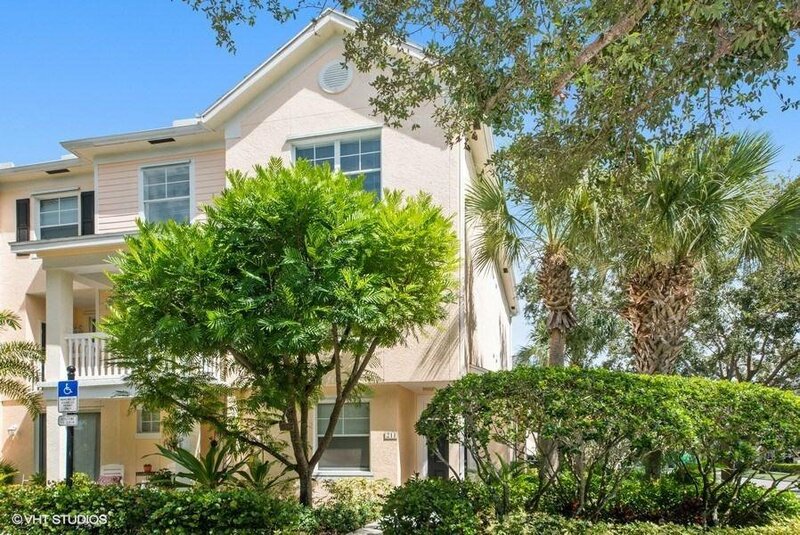 Located in the Somerset Section of Abacoa, this Immaculate Town House has Lush Tree-Lined Views, Plus *New Stainless Steel Appliances*, *New Carpet*, *New Light & Plumbing Fixtures*, *Freshly Painted*. Upgraded Kitchen Includes; Granite Countertops & Tumbled Marble Stone Backsplash. Open Great Room Area (Separate Living/Dining Areas). 2 Large Master Bedrooms Upstairs with Private Bathrooms, 3rd Bedroom on the Lower Floor has a Balcony with Tree-Lined Views. Separate Extra Large Storage Room Included. Community Amenities Include; Pool, Fitness Center, Play & Picnic Areas. Close Walking Distance to Downtown Abacoa, Roger Dean Stadium & the FAU Campus. Zoned within All the Triple ''A'' Rated Schools.